Additional storage spaces have always been in demand when it comes to strollers. This greatly adds to the convenience of carrying around all the basic necessities like diapers, wipes and maybe a change of clothes for the baby. The lightweight strollers that come in the range of $100 to $200 have greatly enhanced storage spaces with large baskets. Unlike the cheaper ones, they also have expandable mesh baskets which can hold additional items like bags. This greatly adds to the functionality of a stroller. Furthermore, the strollers in this price range have extra pockets that could be used for holding cups, toys, keys and so on. When you are prepared to shell out a slightly greater sum, you can also avail the benefits of more child-friendly features like larger canopies. The canopies also have a peek a boo window which you could use to check on your baby without having to stoop all the way down. These little additions greatly add to the convenience of the parents. These canopies are adjustable so you can push them back or pull them in as per the requirement. Many canopies also have special sun-blocking features so that your child’s delicate skin is protected from the harsh UVA and UVB rays. If you are planning to take your child out on a sunny day, you can go out confidently. The sun visors, which are rarely seen in other cheaper lightweight strollers, could be an added advantage while you are outdoors. Then there are 5 point harnesses as against the 3 point harnesses in those of the below $100 category. These harnesses are adjustable so that the umbrella stroller remains functional even as your baby grows. You will not have to get a new stroller every time your baby grows out of it. With the extra harness also comes additional padding so that your little one can have a comfortable ride the whole time. 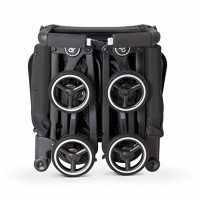 These lightweight strollers have much sturdier built and strong frameworks with the storage compartments that are exclusively designed in specific shapes so as to accommodate diaper bags as well as shopping bags. This makes it very convenient for the parents to change diapers for the kids while on the go. If there are any built in clips, you could use them to hang a few more weights. The maximum hanging weight is 5 pounds, which is more than enough for lightweight strollers in this category. It is absolutely true that no good stuff comes for a cheap price. 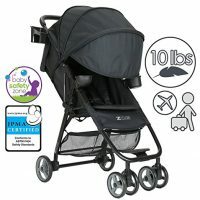 The strollers in the category of $100 to $200 have many more features like adjustable recline, wheel locks and aluminum frames, which you may not find in those of cheaper categories. 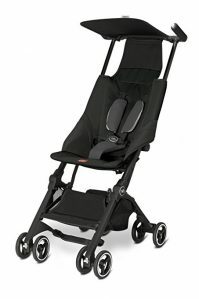 As against the two hand recliners, the strollers of this category have a one hand recline, thus making it easier for the parents to handle these lightweight strollers while in malls and sidewalks. They also have a 3 recliner position that can be adjusted accordingly for your child’s comfort. You can have them laid out flat for a change of diapers. Apart from that, these lightweight stroller has bigger wheels so that you can easily push them through the not so smooth sidewalks. The glide bearings, the front swivel wheels, and the wheel locks enhance the safety of your child and also give better control while going around the corners. These lightweight aluminum frames lightweight strollers also allow for easy collapsibility so that you can collapse and tuck them away when not required. 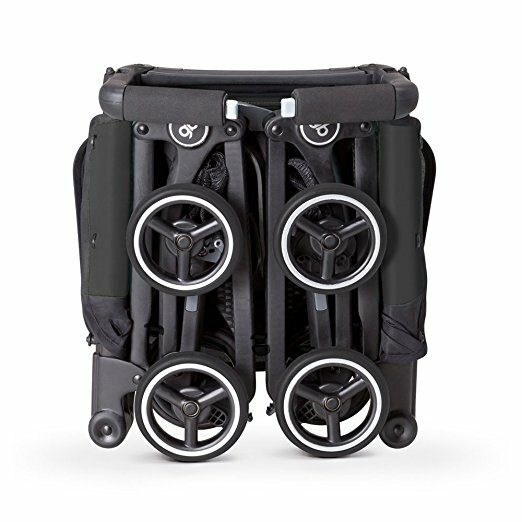 Further, this design makes it easier to load these strollers onto vehicles, especially small family cars when you are traveling or on a vacation. 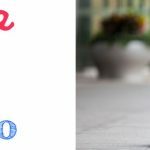 Listed below are the top 3 products that have been carefully handpicked from the category of $100 to $200 lightweight strollers. 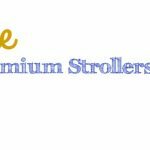 ZOE is a brand of strollers that was started in 2015 but have very rapidly made their way up and now are already creating high-quality strollers, complete with a high price tag. 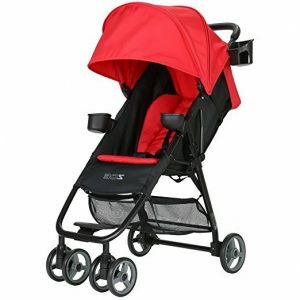 However, they also have some affordable strollers with a great number of added features. ZOE umbrella XL 1 is one of those that fall under this category. Below is a short review of this product with categorization based on different aspects of usability. Out of 10, ZOE can be given 8 for the ease of use. This is great for an umbrella stroller that comes at such an affordable price. In fact, there are other strollers that are way more expensive and still have a lesser rating for the ease of using. ZOE comes in an affordable design complete with automatic lock. It follows an easy one hand snap and folds technique. Before folding, you will be required to pull out a loop that remains hidden under the seat. However, while the unfolding, it requires two hands. It has double action brakes. These are easy to set and release with just a press of the pedal. Also, the pedals are very large ad tucked so you will not have any problem accessing the pedal even when you have a sandaled foot. The sturdiness of the pedals makes sure that you can firmly press the pedals and feel confident as you do so. This will give you a superior feel as you push around the stroller. The ZOE umbrella stroller has a good design which ensures easily accessible storage spaces. The storage is big enough to fit in a whole diaper bag and also other items. You can have access to the storage irrespective of whether the seat is reclined or upright. Further, there are small pockets on the side with Velcro trappings where you can keep your keys and maybe some snacks. Then there are belly bars and snack/ cup holders along with an additional parent cup holder on the inside. In fact, this much of storage space may even be greater than what you are bargaining for. 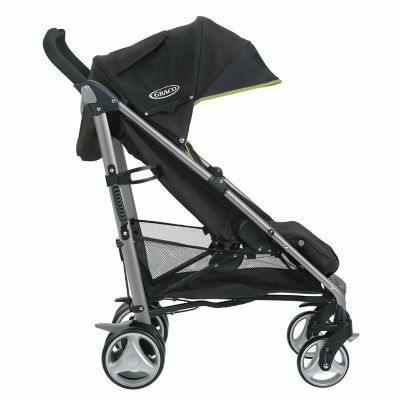 This stroller has 4 panels, thus making it very effective in providing great sunshade even on the sunniest of days. The 4 panels when pulled out completely can come way down, thus only protecting your child from the sun, but also various other elements like dust and other foreign particles. This setup also provides great coverage against headwinds. The fourth panel can further be zipped away for attaching a visor. The canopy also has a mesh peek-a-boo with magnetic closures at the top so that you can frequently peep in and check if your child is doing well. This has a 5 point harness complete with shoulder padding. 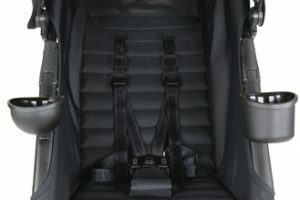 You could adjust the seat by pulling out the straps and replacing it through the desired height slots. The straps easily slide up and down and therefore the adjustments should not be any hassle. The seat can be adjusted to different reclines and can even be laid out flat while the baby is napping or for a change of diapers. The smooth operator attached to the strollers makes this a very easy process. 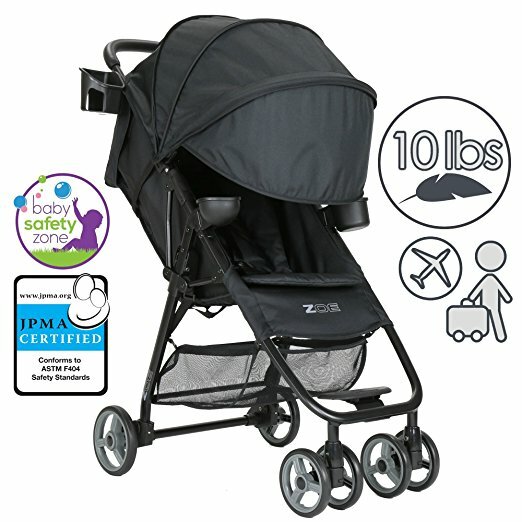 ZOE strollers are one of the easiest to operate. The set up takes little or no time at all. For guidance, you can visit the company website or also watch video tutorials that are posted for the customer guidance. Read the full review of our top rated stroller in this category. 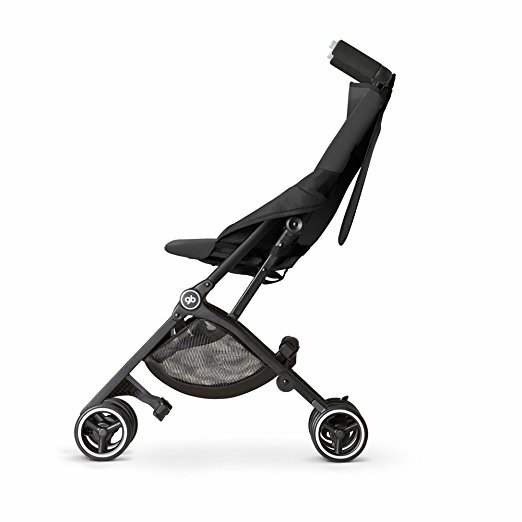 The GB Pockit stroller for baby is lightweight and ultra compact. It is the best stroller for any urban families who are frequently on the go. It has also been considered as the world’s smallest stroller with a dimension of just 12” by 7” by 20”. 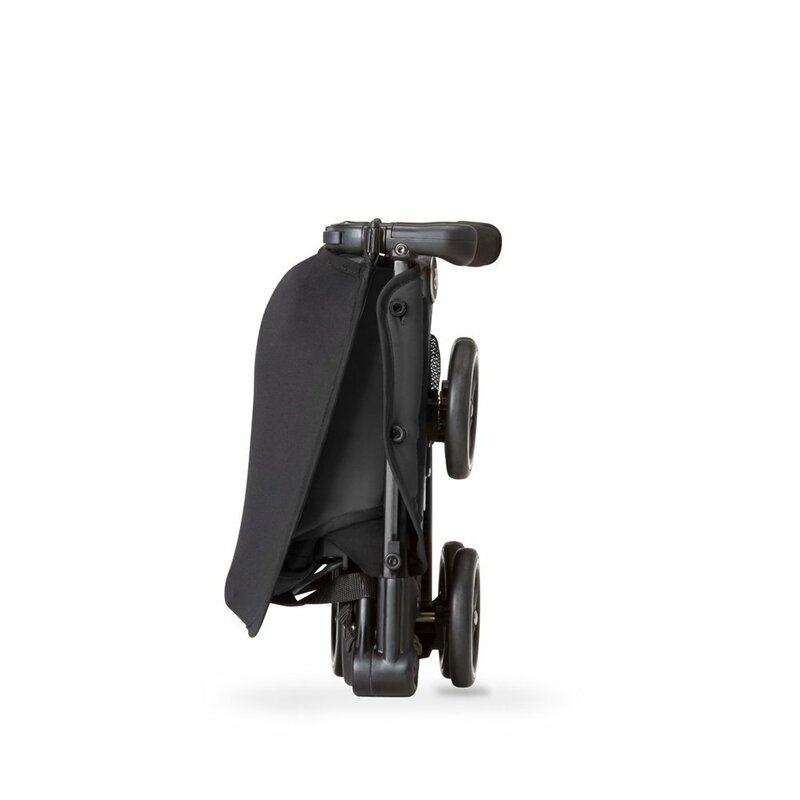 When not in use, this stroller can be easily folded down to the size of a handbag. It weighs a total of only 11 lbs. This allows you to put away the folded stroller almost anywhere, in the cabinet, under the seats, overhead compartment, almost anywhere. There is more that you can do with this stroller for the baby. You can switch from pushing to carrying and vice versa. It is ideal during travels irrespective of whether you are traveling by trains, planes or cars. This will greatly reduce the hassle for parents traveling with infants. Comparisons of features show that this could be an alternative to the previous stroller. The following points specify the features of the stroller in detail. The stroller self-stands when it is folded. In fact, it has even been named by the Guinness book of world records as the smallest foldable stroller. It only weighs a total of 11 lbs. 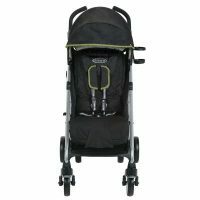 This feather light weight makes it very easy for the stroller to be pushed around, carried and stowed. The GB Pockit is definitely very small but also very strong. It is built using very durable materials and thus gives a very good lasting. The stroller can easily hold up to 55 lbs. The stroller has very comfortable and adjustable harness system with shoulder pads as well as crotch pads. 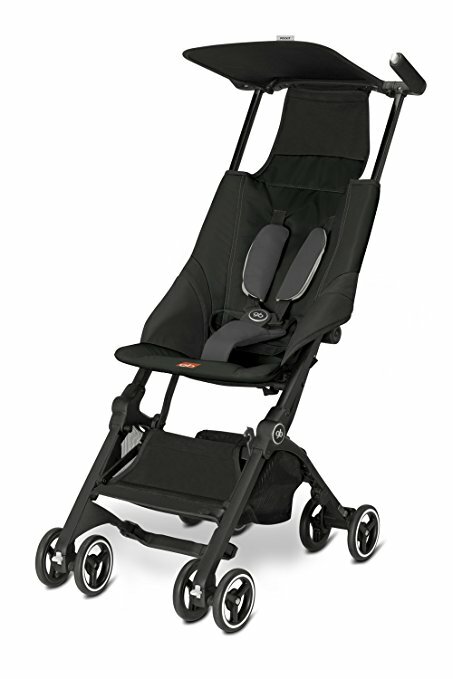 This makes sure that your baby is safely secured to the stroller while also being able to enjoy a comfortable position. 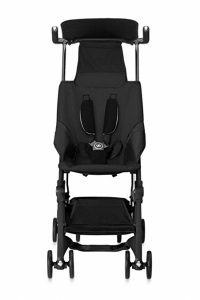 It has swivel lock front wheels which can be used to secure a steady position in the stroller when it is being used on uneven surfaces. The basket attached to the stroller for baby can hold up to 11 lbs of necessities. 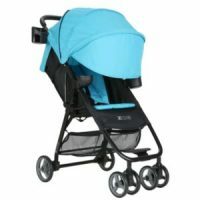 This is one of the easiest to handle strollers available at the given price range. The Graco Breaze Click Connect comes in an innovative one fold design and can also be attached to infant car seats to allow a comfortable seat for your child during traveling. This stroller is also the cheapest out of the three and a great value for money. This is a one hand fold stroller. You will find it easily manageable even if you are going out alone with your baby. The stroller is very lightweight. You will not have any trouble carrying it upstairs and downstairs. You can even have it attached to all Graco Click Connect infant car seats using a single step attachment. This can be a great advantage if you are going to be driving along with the baby. The stroller is designed for portability. 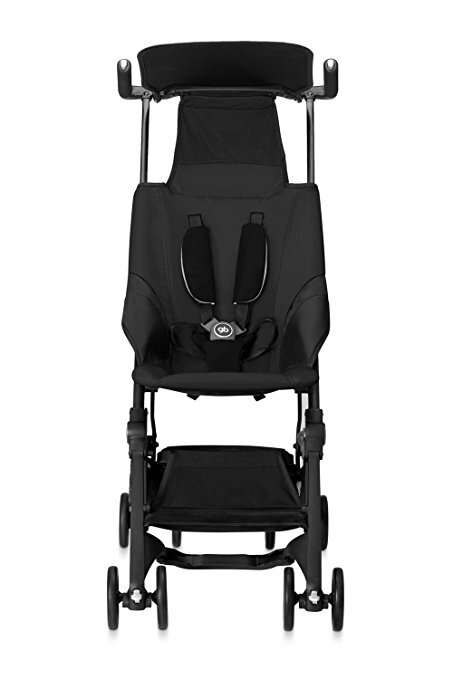 It is very lightweight and has a sturdy frame which enhances the safety of your child. For moms on the go, this is the perfect accessory. This stroller can hold up to 50 lbs weight. This will keep it functioning even as your child grows, allowing years of use. It is adjustable for different inclining angles and even lies flat, thus covering a plethora of purposes from napping to diaper changing. It can be alternated between 3 and 5 point harnesses which can be adjusted as per the age of your child. Comes in a number of interesting patterns. You can choose anything from the subtle, gender neutral tones like gray and black to bright geometrical patterns. 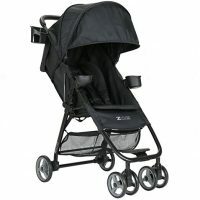 ZOE Umbrella XL 1 is the most recommended product amongst the available lightweight strollers in this price category. 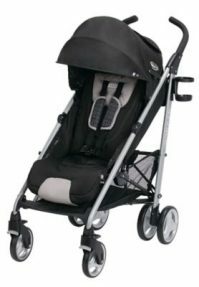 It comes almost with the same quality as the premium umbrella strollers and is unquestionably the best one out of the three products on the podium. A super light stroller that weighs only 10 lbs, it can be easily carried around without any difficulty, even if you are traveling alone with the child. Loading and unloading onto vehicles is not any big deal. It is designed for quick, compact and easy one hand fold, thus making it perfect for public transportation as well. Furthermore, the product comes with a lifetime warranty that includes a warranty on the wheels too. Apart from that, the stroller has many additional features like numerous storage compartments for holding child cup and snacks. The ZOE Umbrella XL 1 has a padded front belly bar and parent cup holder, thus greatly adding to the functionality. Other notable features are large canopies providing maximum shade. The fourth panel of the canopy can be detached and replaced with a visor. 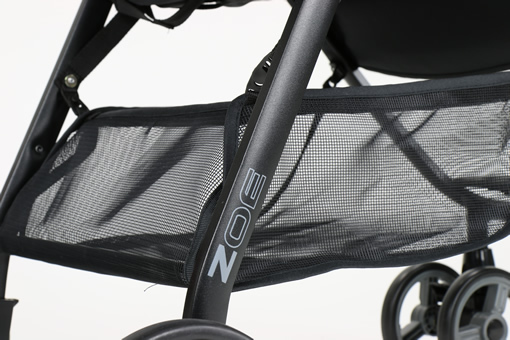 The canopy also has a magnetic peek-a-boo that allows you to frequently keep an eye on your child. 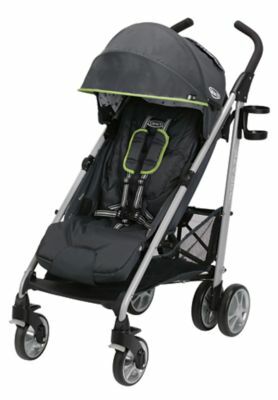 With a large storage space, 5 point harness and maximum capacity of 50 lbs, this stroller is a true value for money.